A shuttered private school in the Highlands has been sold, and the new owner plans to convert the building into offices. Alpine Investments Denver purchased 2949 Federal Blvd., the former site of K-12 school Escuela Tlatelolco, this week for $3.85 million, according to property records. Alpine owner Churchill Bunn said his firm plans to spend between $500,000 and $750,000 to renovate the 20,700-square-foot building, not counting the cost of tenant improvements. Bunn said Alpine initially will target medical users. He said tenant improvements could begin as early as first quarter 2018. Alpine’s other projects include a 48-unit condo development scheduled to break ground in March at 17th and Central streets. The Federal Boulevard property, previously owned by the school, was listed in May for $4.25 million. A month later, the price was reduced to $3.95 million. Chicano activist Rodolfo “Corky” Gonzales started Escuela Tlatelolco at 1571 Downing St. in 1971. His daughter Nita later took over and relocated to Federal Boulevard. Property records indicate the school purchased the property in 1995 for $610,000. The school closed at the start of July, a year after Denver Public Schools pulled a contract that accounted for 75 percent of its funding. 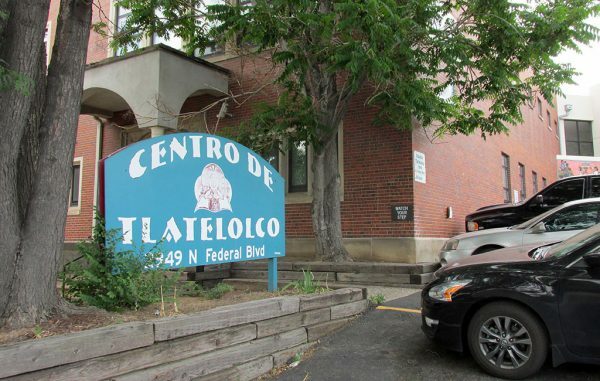 Michael Glade, a board member with Escuela Tlatelolco, said the organization has been focused on selling the property so it can pay creditors. Once that is taken care of, he said, the organization will ponder its future. Glade said that could take the form of opening a “much smaller” school in the region, or providing scholarships for low-income Hispanic students. “It’s a new chapter,” he said. 1 Comment on "New owner converting shuttered Highlands school to offices"
There is no such place as the “Highlands”. This location is in West Highland.